Several years ago, when I was still in school, I decided to make a quilt. portable so that I could bring it with me wherever I went. (which I really liked, but where I never felt the need to take notes). and a few pins to sew the little squares together. 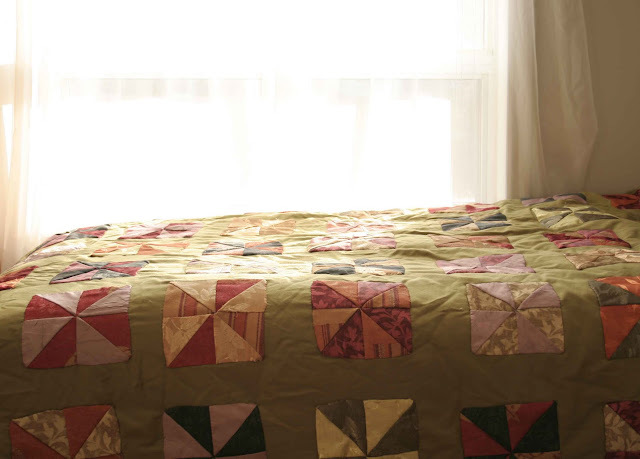 My grandma used to make us quilts like this for Christmas every year - every grandchild got one. So nice to see someone of our generation keeping the art alive. This is beautiful. A quilt for every grandchild? Your grandma had a lot of patience!